Turkey pardoning is a bizarre Presidential tradition and a relatively recent one. And though most believe that the turkeys being pardoned are receiving a rare gift, a long, fruitful life when they could have just as easily been eaten by a politician, the truth is much darker. Since the fat turkeys typically pardoned are literally bred to be eaten, they aren’t expected to live long lives, and most of them die shortly after they’re pardoned. CNN reported on this hidden truth in 2013, noting that The National Turkey Federation, which selects which turkeys are honored at the White House, lists the life expectancy for such turkeys as “about 18 weeks.” Which is why when presidents announce that these birds will live out the rest of their “years” peacefully at their home, it couldn’t be farther from the truth. These turkeys are doomed from the start, but nobody talks about it! 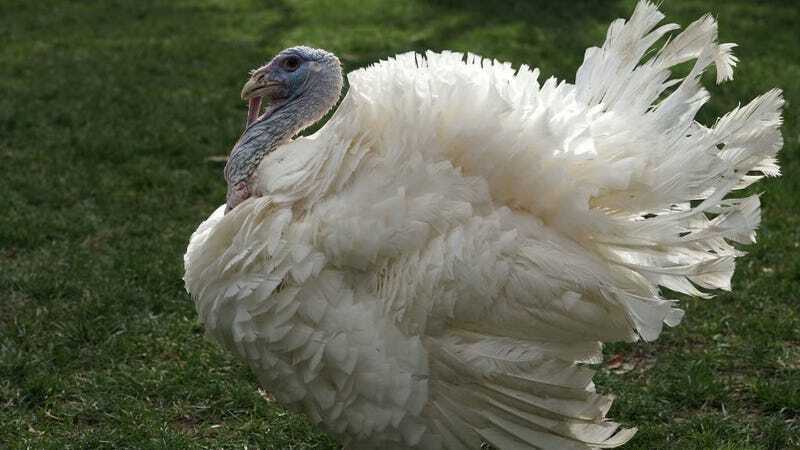 CNN reports that Cobbler and Gobbler, pardoned in 2012, died within a year of their pardoning. And in 2011, three of the four pardoned turkeys died less than five months after their White House appearance. And so there is little hope for Peas and Carrots, the two turkeys President Trump pardoned yesterday and are heading to their new home “Gobblers Rest” in Blacksburg, Virginia. I am glad they lived out at least some of their days raging hard in a hotel room with all the wood chips they desire.